First off, Terminal is Mac OS X's version of Konsole from Linux, or Command Prompt from Windoze. It is located in /Applications/Utilities, down at the bottom. To open it, double click it. When it opens and has a rectangular block sitting there, it is ready for your command(s). On UNIX based systems such as Mac OS X or Linux, root is the main user for the computer, which has access to *everything*. In other words, this is the System Administrator account, which lets you do maintenance, etc. After typing that, it will prompt you for your user password, assuming you're on an administrator account. Once you are accepted, you can do the rest of these commands. su, which asks for the root password. If you don't have the root user enabled, follow the directions below. NOTE: Enabling the root user can be dangerous. Again, after typing that, it will ask for the root password. Then type in your old root password, then give it a new password. If you had no root password before, it will simply ask you to enter a new password. To move around in the various directories, use cd. That will move you into the applications folder. Typing cd with no argument will return you to the directory you were in before. To change to a directory with spaces in the name, surround the directory name in quotes. That will move you into a folder called XChat Aqua in the applications folder. You can specify a path to a file to delete, if it is in a different folder. Note: You can specify a path for this too, like the previous rm commands. This will move something.txt to the Applications folder. This will look for anything related to Callisto.kext on your system. This will look for the rm command. Will make a folder called directory in the current folder you are in. Will move a folder called "folder" to applications. NOTE: You can also specify a path if you want to put the folder somewhere specific. NOTE: This can also be done(to a lesser extent) through Disk Utility in /Applications/Utilities. Open Disk Utility and select your Mac Volume, then click Repair Disk Permissions. That will show you files in the Applications folder. Whichever you use is up to you. They all are text editors. NOTE: I have only used nano, so I can't really help people with vi or emacs. You can add the path of the file you want to edit to the end of the command line and it will open with TextEdit or just browse for it in TextEdit. Add your own commands to Terminal! 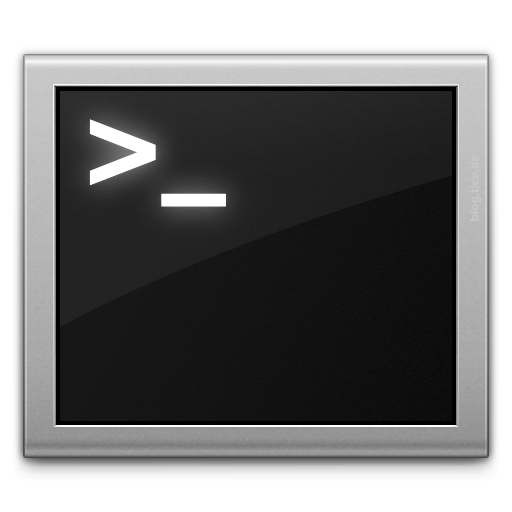 If you want to add your own commands to terminal, follow these easy steps. In this example, we'll add a command called textedit, which will launch TextEdit with sudo priviliges, giving you a text editor with GUI capabilities that allows you to edit any file. 2. Type sudo -s, then enter your password. 5. press CTRL+O, then enter to save. 6. Type textedit into terminal, and enjoy your new command! If you have a program that seems to be acting funny, and it's Universal, just right click(CTRL+Click for one button mice) the program, then choose Get Info, then when it pops up, look for a check box that says "Run in Rosetta". This will make the program run under Rosetta, Mac's PowerPC emulator, which allows for PowerPC apps to run, or Universal apps to run under PowerPC instructions. N.B. : Not all programs have a "Run in Rosetta" option, so don't freak out if there's no option for it. NOTE: ALL THE FOLLOWING CAN ALSO BE DONE ON HACKINTOSHES BY PRESSING F8 AT STARTUP WHERE IT WILL GIVE YOU A BOOT COMMANDLINE, WHERE YOU CAN INPUT YOUR OPTIONS THERE, SO THAT YOU CAN HAVE THOSE OPTIONS ON THAT BOOT ONLY. After this, press CTRL+O to save the file and reboot. To remove verbatim mode, simply follow the steps again and just remove -v from the string line. If you want to force Mac OS X to start with a certain screen resolution: you have to add a new key and string line to your com.apple.boot.plist. Where 1024x768 is the resolution you want, x32 is the color depth you want, and if you have VESA 3.0 graphics, @60 the refresh rate you want. NOTE: All of these are to be added on the same line!